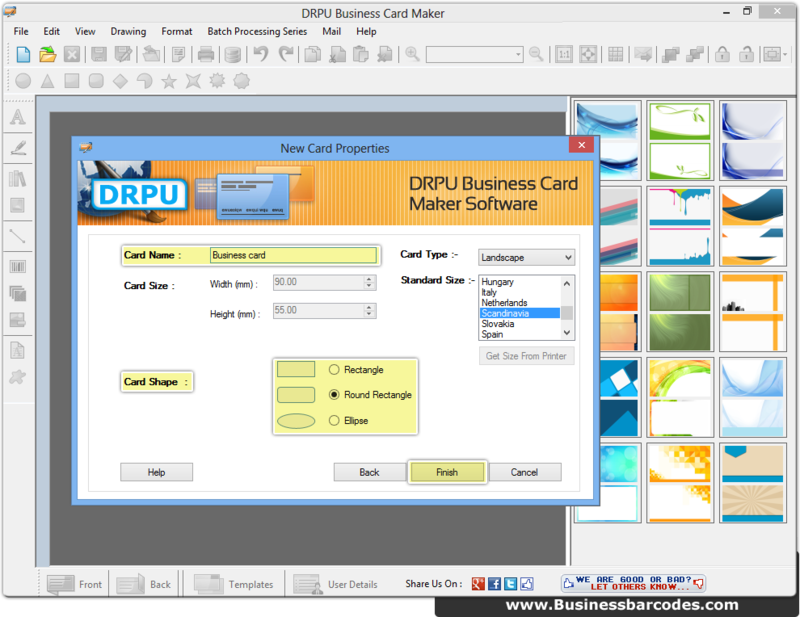 Select one of the designing options to create business cards. 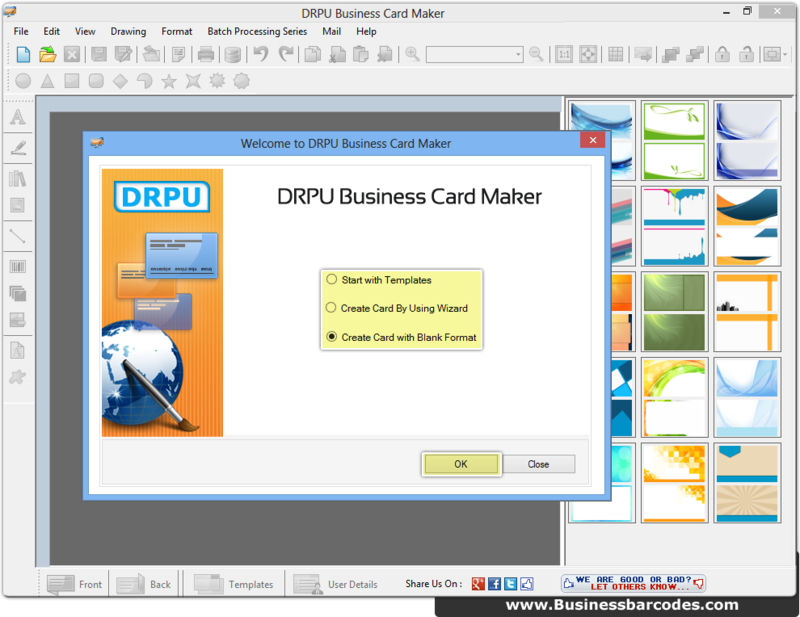 Specify card name, size, type and shape then proceed to Next screen. 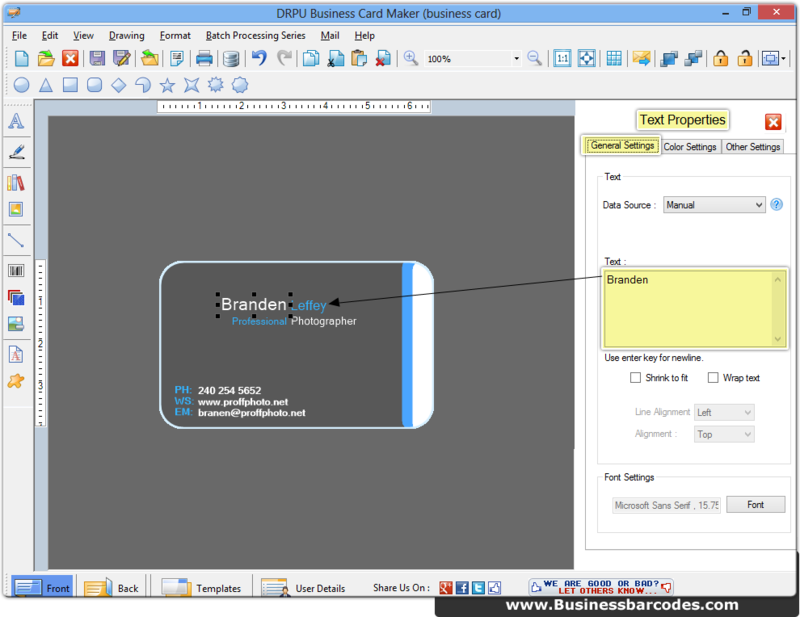 Add text, clip art, word art, images, and shapes from left portion of screenshot. Edit your text properties by double click on it. 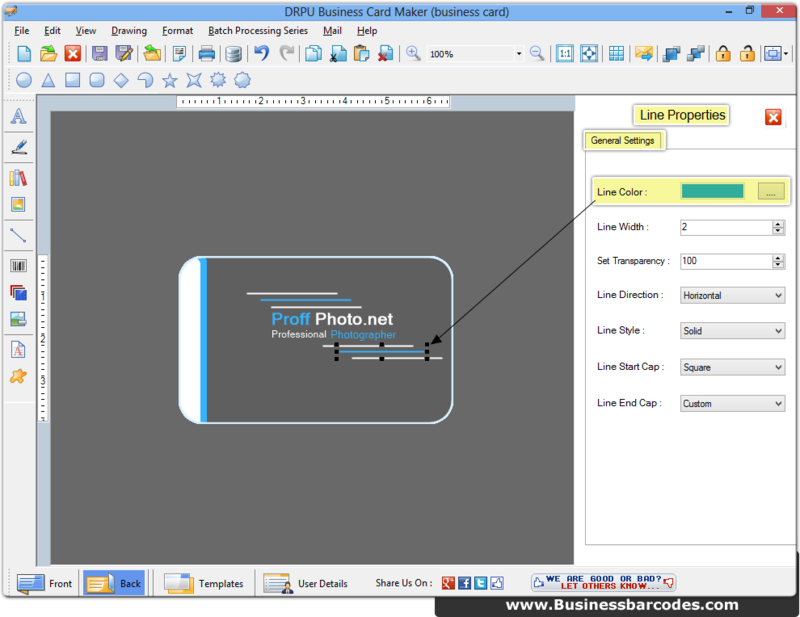 Add line by clicking on Line object from left panel to edit its properties double click on it.